Today we have a special treat for you! 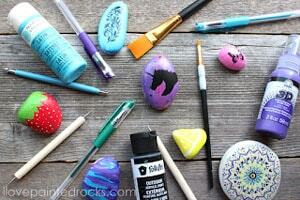 My friend Susie from Rock Painting 101 is here to do a guest tutorial! This February she has really dialed in to focus on rainbow rocks and is sharing the tutorial for this one here with us! 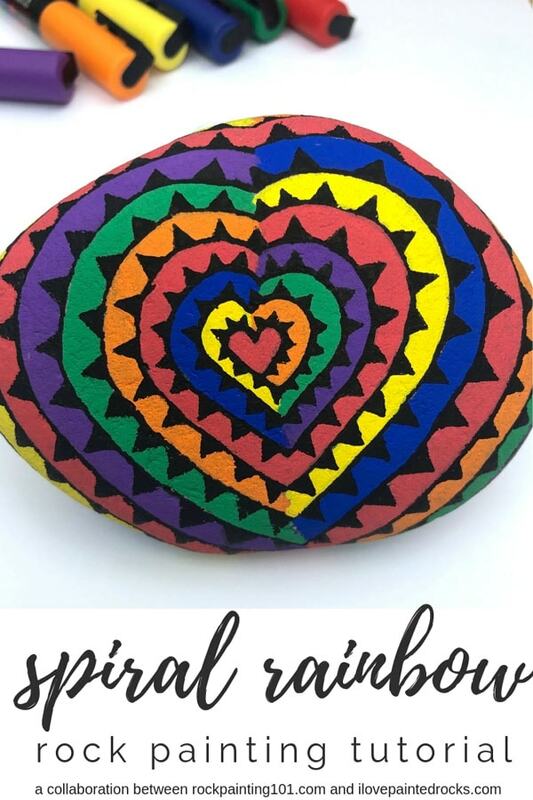 If you love rainbows like I do, I'm sure you will love this rainbow painted rock project that Susie created for us. 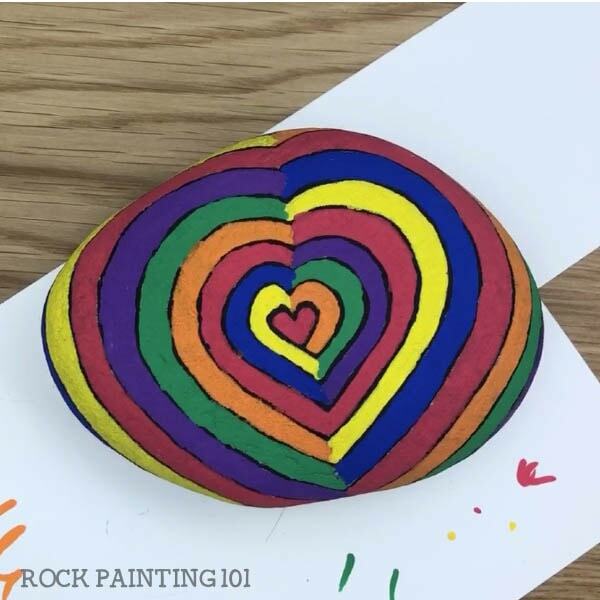 This easy rainbow painted rock project used Posca paint pens together with micron pens for maximum easy of use - this makes this impressive project an easy one for beginners to follow along with! This rainbow heart painting project is easiest to follow along with if you watch the video. I have a short version of the video embedded directly on my website but the LONG version is on YouTube. Just choose the length that best suits your needs! I have always loved the unique look of our zendangle heart, but some readers have had a hard time creating this look. So I decided I wanted to come up with a design that was simple to recreate, but still had that wow factor. I also wanted to stick with the rainbow and black heart combination. For this rock I used Posca Paint Pens. I also used my Pigma Mircron PN tipped pen to do some of the fine lines. 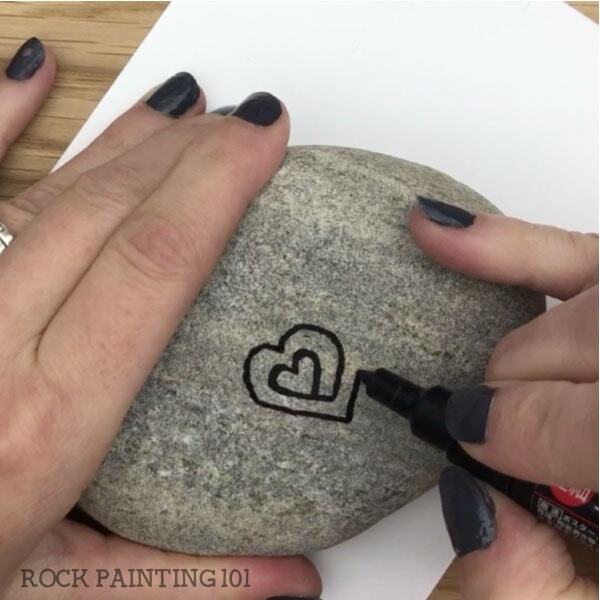 Start your rock by drawing a heart. I placed mine in the center but you could offset it as well. Then start creating a spiral out from it. Try to stay consistent with the distance from the original heart. Continue until you are over the outer edges of your rock. Then start to color in your heart. I did this in a rainbow pattern starting with red in the center. You can also try this design in other colors as well. 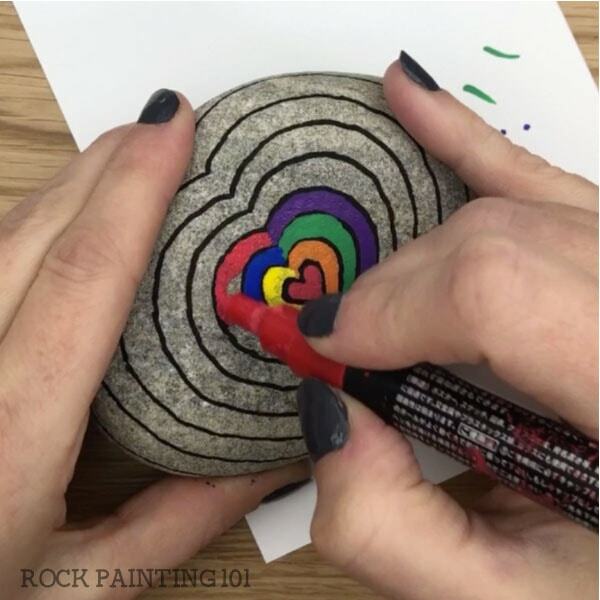 If you do decide to do a rainbow each time you get to red create a full lap around your rock to help your colors spread out properly. Next, start to add little triangles along your spiral. This is where I used my Micron PN tipped pen in black. Slowly work your way around creating the triangles and then filling them in with black. 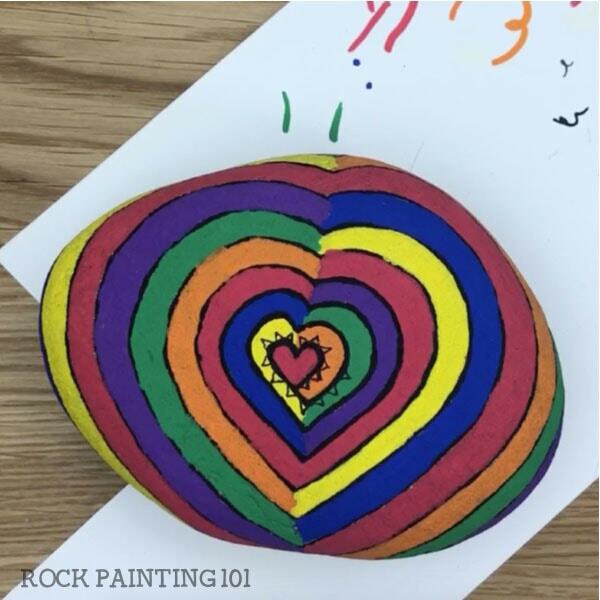 This rock is the perfect combination of my two favorite things to paint rainbows and hearts! 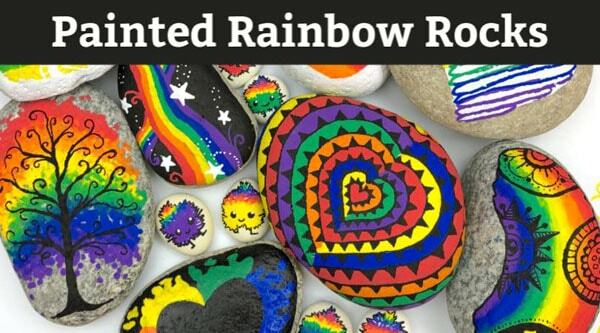 Check out the rest of our favorite rainbow rock painting ideas here! 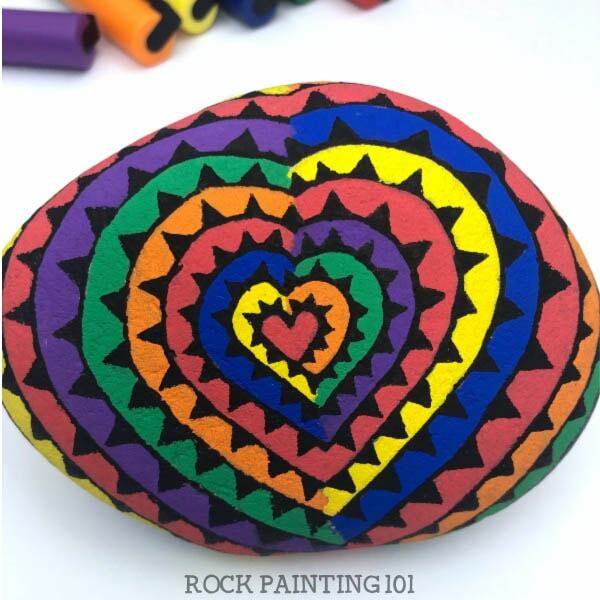 Susie started painting rocks as a fun after-school activity with her little ones. Often she found herself sitting at the table painting long after they had left. Her love of painting rocks sparked her site RockPainting101.com. Where you can find endless rock painting inspiration and tutorials to watch. 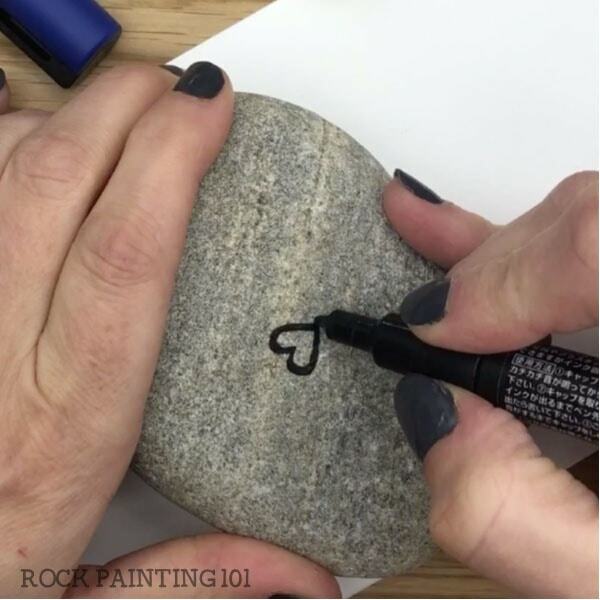 You can follow along with Rock Painting 101 on YouTube, Facebook, Pinterest, or Instagram.